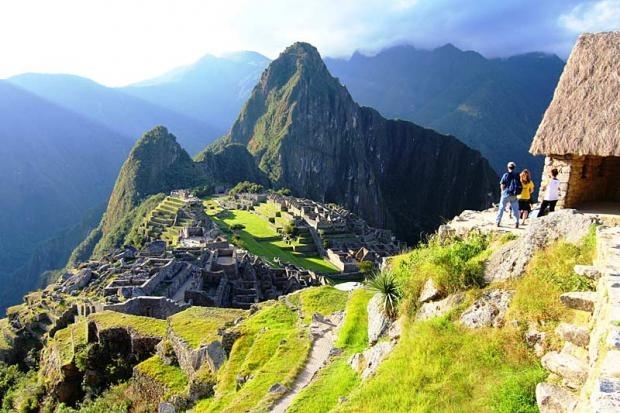 Peru’s Inca Trail – Hike to Machu Picchu – The Great Canadian Travel Co.
An iconic trek, following in the footsteps of the Peruvian Incas. Offering an unrivalled combination of history and dramatic scenery, the ancient Inca Trail winds its way from the powerful Urubamba River, across mountain passes and through cloud forests, passing several crumbling fortresses before reaching the lost city of Machu Picchu. Prices are shown in CA$ per person based on two people sharing a twin room. Single rates are available on request. We recommend the early booking of single accommodation as it is subject to availability and the payment of a supplement. 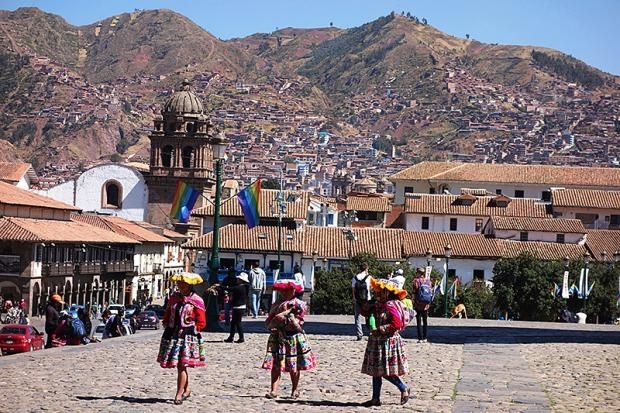 Start in Cuzco with free time to explore the Inca capital and adjust to altitude. Set amidst hills in the Altiplano, the Imperial City of the Incas, Cuzco (3,400m) was the geographic, cultural and political centre of a vast empire which, at its peak, stretched from present day Quito in Ecuador to Santiago in Chile. After the Spanish conquistadors invaded the city they started building on top of the Incan structures, resulting in unique architecture, a fusion of the Incan and Spanish colonial styles. The group flights usually arrive in the mid-afternoon, giving time to wander the cobbled streets admiring the old houses, visiting its museums, churches and pre-Colombian buildings. Another free day to explore Cuzco or take an optional excursion to the Sacred Valley. 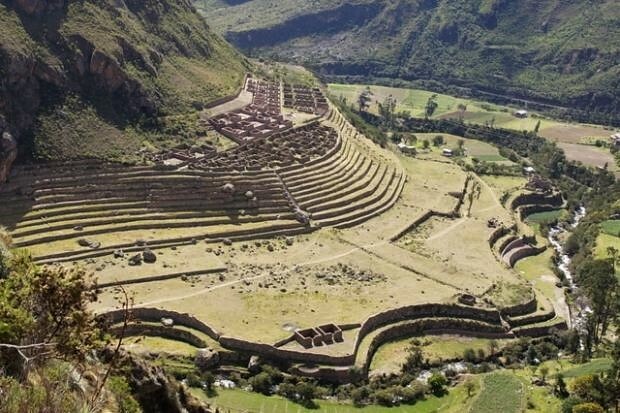 The Sacred Valley of the Incas trip includes the incredible ruins at Pisac. The other optional tour is a paddle boarding trip to a lake in the plateau between Cuzco and the Sacred Valley. Start Inca Trail trek from km82; walk along Urubamba River then climb to Huayllabamba. 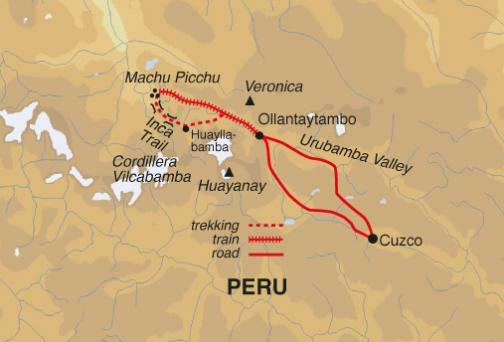 We leave Cuzco early this morning and drive to the start of the Inca Trail at Piscacucho, commonly known as Km82. The trail runs alongside the Vilcanota River beneath the impressive snow-capped Nevado Veronica, passing through cactus gardens and fields of corn until we reach the enormous Inca ruins of Llactapata, where we continue up a side valley to camp near the hamlet of Huayllabamba. 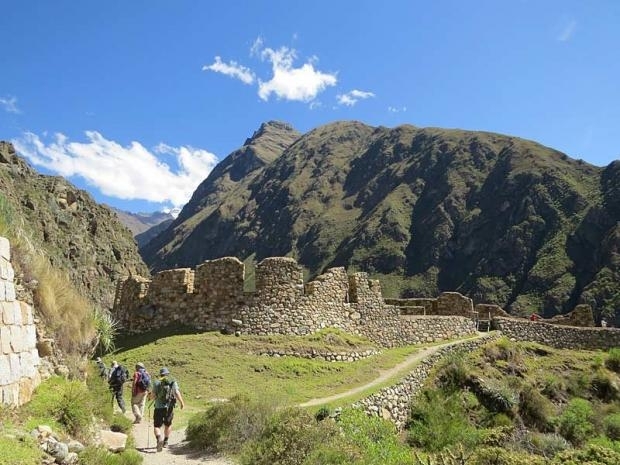 On all departures, the classic Inca Trail can be substituted with the remote and beautiful Moonstone Trek – see Trip Notes for more details. This is the longest and most strenuous day of the trek. A long climb takes us first through an area of cloud forest to the meadows of Llulluchapampa, then over the Warmihuañusca (Dead Woman’s) Pass (4215m) the highest point on the trek. After quite a long, steep descent we camp in the scenic valley of the Pacamayo River (3600m). 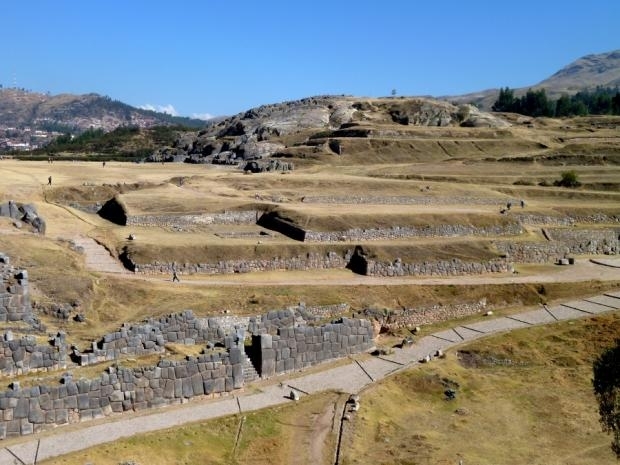 Set amidst hills in the Altiplano, the Imperial City of the Incas, Cuzco (3,400) was the geographic, cultural and political centre of a vast empire which, at its peak, stretched from present day Quito in Ecuador to Santiago in Chile. After the Spanish conquistadors invaded the city they started building on top of the Incan structures, resulting in unique architecture, a fusion of the Incan and Spanish colonial styles. Day 5: Runcuray Pass – Ruins of Sayajmarca and Phuyupatamarca. We start the day with an easier climb which takes us past the ruins of Runquracay and over the Runquracay Pass (3930m). From now on the Inca Trail becomes a clearly defined path made of flat boulders. We pass the ruins of Sayajmarca and suddenly enter rainforest; at one point the Trail passes through an Inca tunnel. 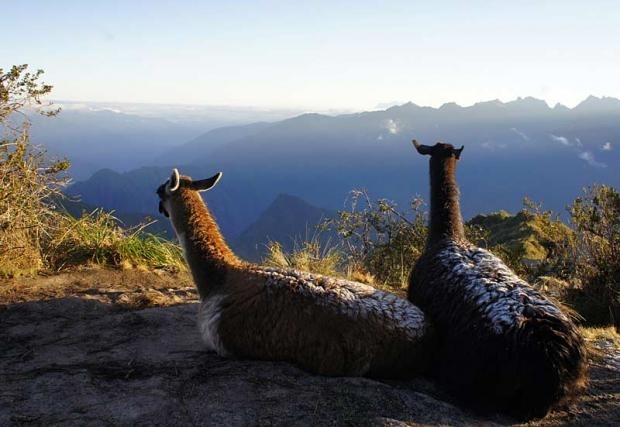 We camp on the ridge above the Inca site of Phuyupatamarca (3680m) to benefit from the views of sunset and sunrise. From the ridge we embark on the infamous Inca steps: a two kilometre stone staircase taking us rapidly downhill amid a panorama of overwhelming immensity, with the peaks of the Vilcabamba range above, and the river thousands of metres below. After visiting the attractive ruins of Wiñay Wayna, we have an undulating walk through cloud forest high above the river to Inti Punku, the Sun Gate. From here we get our first full sight of Machu Picchu itself, with Huayna Picchu rising behind. Traditionally busy with groups of trekkers clamouring for dawn photos, we plan our arrival at Inti Punku later in the day so we can enjoy unobstructed views of the magnificent ruins. Passing around the edge of the ruins, we exit the site and take the bus down the windy road to the nearby town of Aguas Calientes for a well-earned rest and a shower. Our trekking permits allow us one entry into the site, which we use for our tour tomorrow, but anyone wishing to visit the citadel on both days can purchase an additional entry ticket today for approx. US$40 – your tour leader will assist with this. We return to Machu Picchu early for a tour of the ruins at their quietest and most evocative (before the day trippers arrive from Cuzco). After free time to explore individually, we then board the train in the afternoon or evening, which winds its way through the beautiful Urubamba River Valley back to Ollantaytambo (approx. one and a half hours). We continue the remainder of the way to Cuzco by road (approx. two hours). Today has been left free to relax after the trek or explore Cuzco further. There are a number of optional excursions available which your tour leader can arrange for you, such as mountain biking in the Sacred Valley or paddle-boarding on a lake in the plateau between Cuzco and the Sacred Valley. The trip ends in Cuzco after breakfast today. 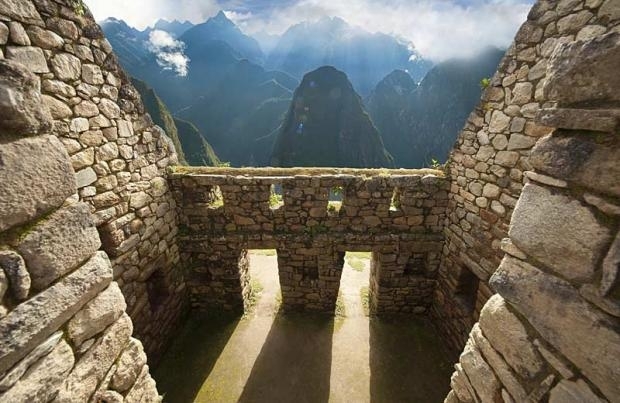 This fabled trail is specifically designed to maximise the time spent at Machu Picchu with an early morning tour of the ruins, quieter at that hour before the crowds of day trippers and other trekkers arrive. 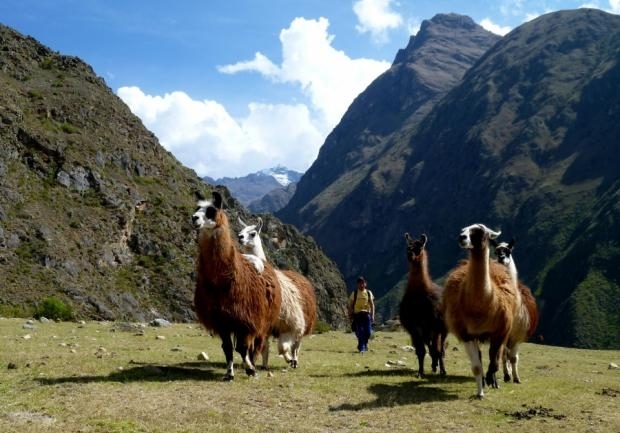 (Alternative remote Moonstone trek available when Inca Trail permits have sold out). Classified Activity Level 3, Moderate. An Inca Trail permit is required for this trip. 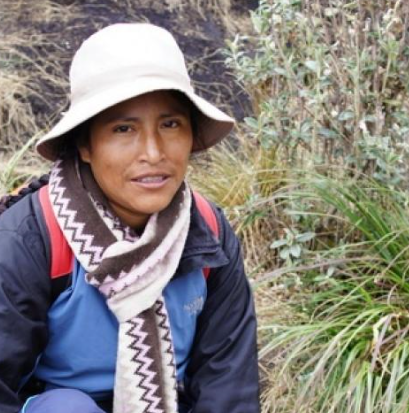 Inca Trail permits are limited with a daily cap on the number available and can sell out fast. We, therefore, recommend booking at least 6 months in advance to avoid disappointment. 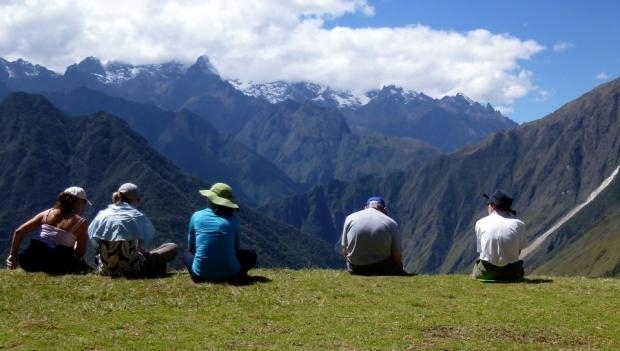 Should permits not be available for the classic Inca Trail, the most iconic trekking route, there are other treks in the region which are equally spectacular. One of the best alternatives is the Moonstone Trek which can be arranged in place of the Inca Trail. If selected, the Moonstone Trek will replace days 3 to 6 of the standard itinerary. 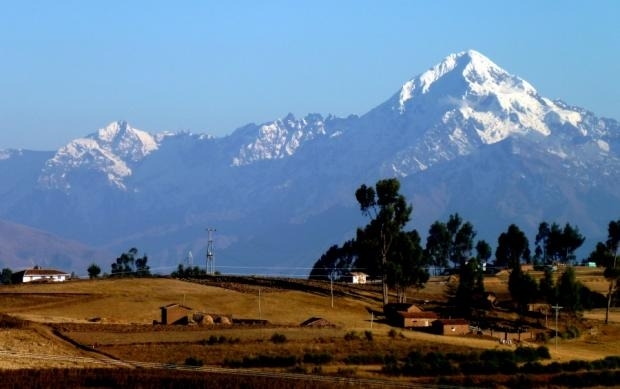 Please note that the maximum altitude on the Moonstone Trek is 4625m (higher than that of the classic Inca Trail) and the route is slightly more strenuous, therefore we class it as a Moderate/Challenging trek, Activity Level 4. Breakfast: hotel breakfasts are normally continental buffet-style; on trek they are more substantial and include a cooked dish such as porridge, omelette or pancakes. Lunch and dinner: on trek good quality three course cooked lunches and dinners are provided, and usually consist of soup or a starter, a main course with meat/fish and some form of carbohydrates, followed by a dessert. Drinks and water: drinking water (boiled and filtered) is provided in the mornings and at lunch during the trek so that you can refill your bottles. Tea/coffee is brought to your tent each morning and juice or hot drinks are provided with all meals during the trek. Five nights are in small locally owned hotels with en suite bathrooms and breakfast facilities. 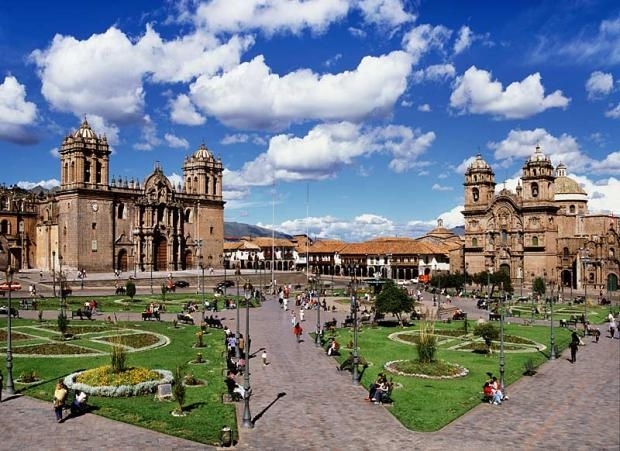 All of the hotels we use in Cuzco are located within walking distance of the central Plaza de Armas. During the trek we spend three nights full service camping, meaning that our camp staff will erect and dismantle the tents, cook, and do all camp chores for you: you need only carry your day pack. There will also be dining and toilet tents and bowls of warm water are provided both morning and evening for washing.